The Scoop: In 1965, Doc Love began teaching men how to make women happy and strengthen their relationships for years to come. He didn’t just rely on his wits to offer advice — he researched the subject and drew conclusions based on the overarching trends he saw in marriages in the US. Through the years, Doc Love interviewed over 10,000 women to get to the heart of why some relationships fail while others succeed, and now he brings those findings to modern daters. He hosts a radio show and podcast where he answers questions from real men facing a variety of love challenges. Doc Love has garnered a reputation as a knowledgeable role model for single men by promoting his brand on multiple platforms and continually seeking new ways to reach men with a positive, proactive message. Anyone can call themselves a dating expert and start doling out advice, but only a scant few actually garner a substantial following and successfully help singles and couples reach their relationship goals. It can take years of studying dating patterns and developing coaching methods for a dating expert to show up on the radar of the average single. What separates the true experts from the wanna-be experts? Sometimes it boils down to the message they send. An authentic and uplifting message can be compelling to people who feel confused, jaded, or demoralized about the dating scene. Doc Love has generated a loyal following among single men, including 4,700 followers on social media. Doc Love has spent his career empowering men to win the hearts of women of all ages. He emphasizes the importance of good manners and outward displays of affection, and he provides clear steps for single men hoping to get in a relationship. He invented “The System,” a self-help dating guide, to prepare men to become more successful wooers and partners in a short period of time. His proven system has become remarkably popular among single men, and he has expanded his audience of potential clients and customers by hosting a Doc Love radio show on BlogTalkRadio.com. During one-hour segments, he answers questions from callers in various dating dilemmas and offers insight into the male perspective of dating. His straightforward advice can help guys turn their love lives around and keep their Ms. Right happy. Doc Love’s dating advice is based on decades of research and over 10,000 interviews with women. His goal as a relationship coach is to facilitate long-term relationship success and decrease the divorce rate in the US and around the world. Doc Love separates himself from his competitors by hosting Dating Women, a weekly radio show hosted live on Wednesday evenings. He invites daters to call in with questions, which he answers live. This unique and engaging format has attracted listeners from all over the world, including the US, Australia, India, and Sudan. He also shares the radio show’s episodes as a downloadable podcast on his website. 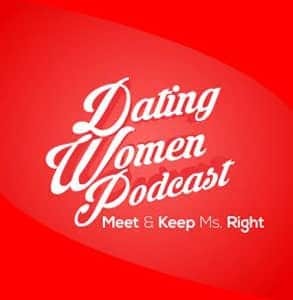 The purpose of the Dating Women Podcast is to teach men the right way to build relationships. By providing a free and entertaining resource for single men, Doc Love can grow his influence on the dating world and highlight his perspective on what men are doing right and wrong in relationships. He claims that his advice works for men of all backgrounds and all ages. Doc Love focuses on advising men because he wants to encourage effective dating habits that keep women from breaking up with men. According to a survey of 2,000+ heterosexual couples, women initiated 69% of divorces in the US between 2009 and 2015. Doc Love’s mission is to decrease that number and ensure men know how to satisfy their partners by treating them properly and communicating with love and respect. Throughout his career, Doc Love has inspired many men to master the art of dating and spread the word to others in the dating scene. He established the Doc Love Club to provide men with peer-to-peer support as they put his dating strategies into action. The club receives access to members-only content, including advice articles and podcast episodes dating back to 2011. In recent months, Doc Love has come up with yet another way to empower men to gain confidence, meet new people, and carry his positive message to others at the same time. How does he accomplish all that? By encouraging men to join Toastmasters and make prepared informational speeches as Doc Love. In 2017, he started encouraging his podcast listeners to join a local Toastmasters group and make romantic connections while developing confident speaking skills. The idea came to him when he heard about one former client who recited Doc Love’s dating tips in a presentation at Toastmasters. Doc Love saw that as a win-win for everyone — he got some free publicity, the single guy gained public speaking experience, and the audience learned a little about Doc Love’s perspective on dating. It’s also a great way for single guys to make a good impression on the single ladies in the audience. Doc Love told us that Toastmasters has provided an incredibly helpful platform for his clients, readers, and fans. “I keep coming up with different ideas to help guys grow in confidence,” he said. There are thousands of love doctors out there, but there’s only one Doc Love. Since 1965, this experienced relationship coach has made a name for himself by promoting a consistent, positive message to men in relationships. He trains men to be respectful, attentive, and loving in relationships because he has seen it work time and time again. Whether he’s giving advice on the radio, in a book, or through other channels, Doc Love provides a systematic support system and passionate mentorship for men wondering what it takes to attract and keep a good woman.